Catherine Iocona is an advisor at StarBridge Advisors, LLC. Cathy is an experienced and strategic healthcare IT executive skilled in partnering with colleagues to conceptualize and drive the design of technology solutions. 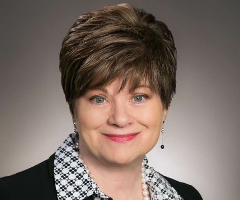 A passionate mentor and coach with strong motivational and coaching skills, she draws on over 30 years of healthcare IT and revenue cycle leadership experience to partner with leaders on their journey to excellence through individual and team coaching. Cathy believes well-functioning IT teams begin with understanding the challenges IT leaders face as well as understanding one’s values and approach to leading through those challenges. As a certified professional coach, she is driven to support leaders in developing actionable, practical goals, plans and strategies geared toward achieving results. Her leadership approach focuses on collaboration, accountability and execution. She helps leaders understand their strengths and values and to apply those values to create an environment that maximizes individual and team performance and results. Cathy has led IT teams at two major healthcare provider organizations during periods of significant growth and change. As the Associate CIO at AtlantiCare, a member of Geisinger, she restructured and led the technology governance process, partnering with clinical and business leaders to create a collaborative approach to project portfolio management. She developed her passion for coaching and mentoring while participating as a workshop facilitator in the AtlantiCare leadership development program, as well as coaching emerging and potential leaders. Prior to AtlantiCare, she served in a similar role as the IT Chief Operating Officer at Meridian Health. Cathy received her Bachelor of Science degree in Health Services Administration from Providence College and her MBA from Rutgers Graduate School of Business. She is a Certified Professional Coach (CPC), receiving that designation from the Institute for Professional Excellence in Coaching (iPEC). In addition, Cathy is a Master Practitioner in delivering and debriefing the Energy Leadership Index (ELI) leadership assessment.